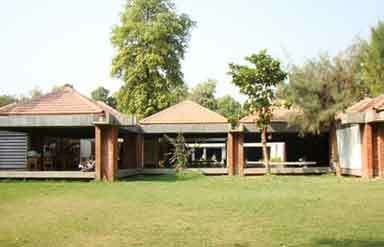 Also known as the Gandhi Ashram, Sabarmati Ashram was established in the year 1917 AD. Once the abode of Gandhiji, the Father of the Nation, the ashram is well known for the Dandi March which started here under the leadership of Gandhiji. This march, which started on 12th March 1930, played an important role in the freedom struggle of India. It was held to revolt against the salt laws imposed by the British Government. There is a prison on one side of the ashram and river on the other. The Ashram is now recognized as a National Monument by the Government of India. Initially the ashram was established at the Kocharab Bunglow of Jivanlal Desai on May 1915 but later it was shifted to a piece of open land on the banks of the river Sabarmati in 1917. The reason behind its shifting was that Gandhiji wanted to try out some experiments in living such as farming, cow breeding, animal husbandry and khadi. And this place seemed perfect to him for this purpose. Sabarmati Ashram served as a venue for important Freedom struggle campaigns such as the Satyagrah of the Ahmedabad Textile Mill workers, the Kheda Satyagrah and Namak Satyagrah. Due to its significance in the National Movement, it is also known as Satyagrah Ashram. 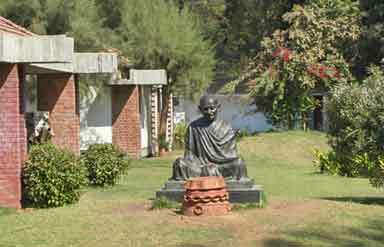 The Ashram houses a museum named Gandhi Smarak Sangrahalay. The museum was built in 1963 and its architectural design was made by architect Charles Correa. Initially the museum was designed inside Hriday Kunj, the cottage of Gandhiji inside the ashram but later shifted from there. 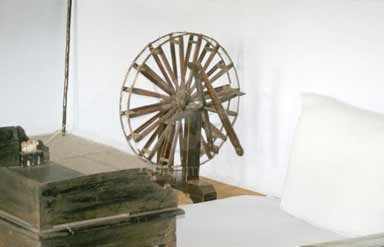 The museum houses the prized memorabilia of Gandhiji. Caper Travel India offers a wide range of India Tour Packages. For more details, send us your query.